If you are like most folks, you have a handful of passwords that you reuse for all your online accounts. You may change a number or two when it’s expired, for example: Password1 gets changed to Password2, and so on. It’s very likely that some family and friends know some of your passwords too, like your WIFI and Netflix password. In a world full of hackers and breaches, you really are making their job all too easy. 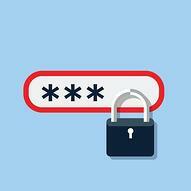 It’s not hard to see the ramifications of weak passwords, it’s a near constant topic in the news. An easily guessed password can quickly become compromised in several ways and once that happens, it could lead to a compromised online account, stolen credit card information, a system breach, or even identity theft. All of these could have far reaching consequences that can multiply very easily. Let’s use a very popular online service as an example: Netflix. When Netflix had its user data compromised, that data ended up on the internet where just about anyone who wanted those user names and passwords could access it. From there, they could login and see your viewing history, your billing address and anything else your account has tied to it. As bad as that is, it could be worse if your Netflix password was the same as your banking account. Then a hacker could potentially access that account as well. To make matters even worse, if your email account was the same password, or some variation thereof, they may be able to access ALL your online accounts, even going to far at to reset those accounts. The reality of password management is that we are just not that good at it. We are creatures of habit and in times of inconvenience and haste, we will roll back to old habits and old passwords. A password manager is a real solution that, once you get used to it, you’ll likely never go back. Properly setup, a good password manager will auto-login to your accounts, typically on your phone, PC and web browser once you’ve logged into them. The key to making this work is simple: use just one password and NEVER use it anywhere else. And by one password, I mean a super strong one, for example: 1zRib78!prl*$. The rational is that if this password can’t be guessed or broken, and hasn’t been used anywhere else before, then no one would be able to access your password “vault”. From here it gets easy. Most password managers will remember your sites, the user names and passwords but they will also auto-generate super strong passwords that you’ll likely never remember. Some folks liken this to a keychain. Once you’ve unlocked the keychain, then you can open any “door” you have a key for. When governments and large corporations are not immune to security breaches, a Password Manager is no guarantee that your data won’t be compromised. However, it does make your data a hard target to hit and helps fulfill some of the very basic aspects of PCI. For companies who have multiple users sharing passwords, some programs offer a sharing function among users who always have access the latest password, regardless of who changed it. This is far more secure and convenient than the hastily scribbled password that some organizations have stuck to the side of their PC. Expect to pay anywhere from $2.50 to $4 per user, per month. Some of the more popular programs are: LastPass (www.lastpass.com), Keeper (www.keepersecurity.com) and Dashlane (www.dashlane.com). All the above allow you to import your existing passwords from your web browser, making conversion a snap. Technology isn’t always easy but having Skurla’s as your partner is. Call 907-243-2683 or email us at sales@skurlas.com and find out just how easy we can make your Point of Sale environment.